Irish Car Rentals also provides a van rental service for those looking to rent a van in Dublin and nationwide in Ireland to transport bigger items that simply won’t fit in your car. 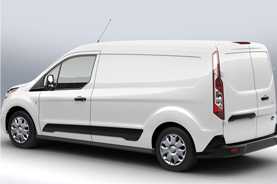 If you are moving large furniture due to moving homes or office items between locations, Irish Car Rentals has a range of vans available suit your needs; Ford Connect Cube Van and a Ford Transit. All van rentals include 24 hour breakdown coverage, come with unlimited mileage and are priced including basic insurance cover. Van hire are available from the following locations; Dublin, Cork Airport, Cork City, Cavan, Galway City, Navan, Cavan, Waterford, Shannon Airport and more. Van rental Dublin has three locations to hire from; Dublin Airport, Dublin City and Dublin South. 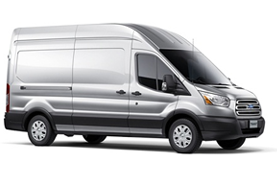 To reduce the cost of renting the van, you can transfer your insurance policy for the van rental. To use your insurance, you must have fully comprehensive Irish insurance policy and it must cover you on a commercial vehicle for the duration of the van rental. Trolleys can help to save time and effort when loading & unloading large items from your rental van. GPS Navigation Systems to help you find your way around unfamiliar roads. Cancellation Cover will refund you the cost of the van rental if you needed to cancel your rental for an unforeseen reason. If you have any questions about our van rental services please do not hesitate to contact us.